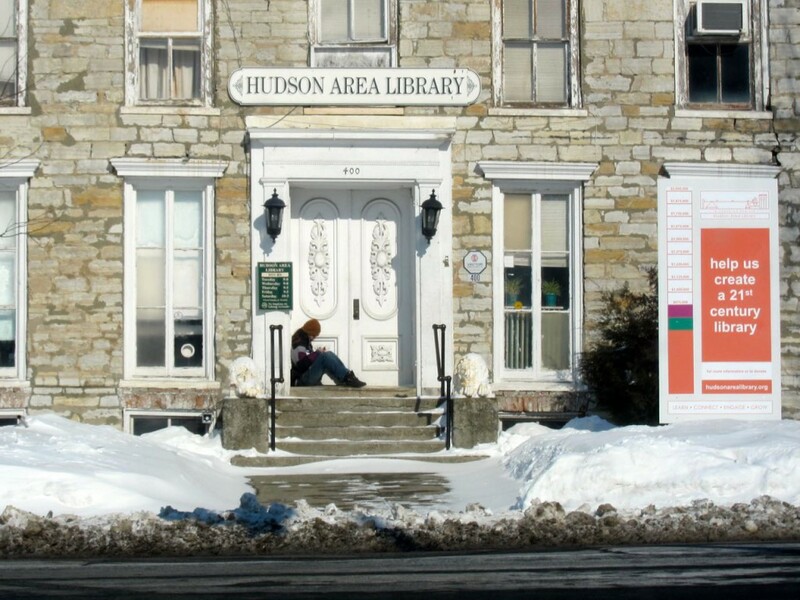 Mid-Hudson Cable continues to provide substandard internet services here. I have written of this earlier. Last summer I suckered up for the “up to 10 MB/sec” service for an extra $5 per month. Recently I updated my test results over this time span. 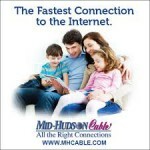 The average download speed (all results based on 130 tests from August 2011 through today) is 5.9 MB/sec; the average upload speed is .43 MB/sec. The ping time average is 160 milliseconds. 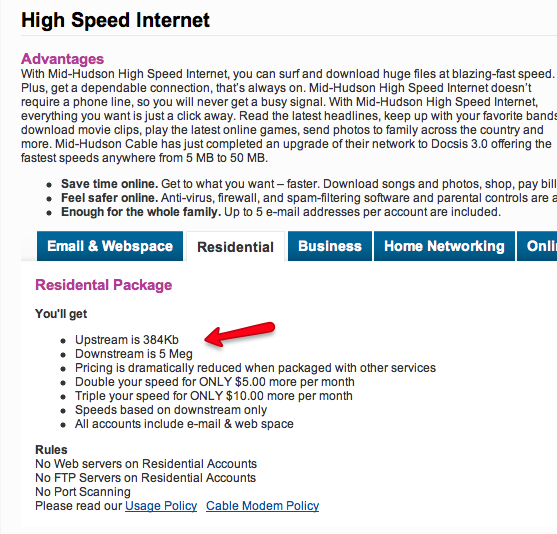 So, in the strange world of Mid-Hudson Cable 5.9 equals “up to 10 MB/sec”. One does not need a calculator to see that there is a 40% shortfall here.